Long before a vehicle goes to market, thousands of interconnected technologies must pass a battery of tests to prove safety and efficacy. The International Transportation Innovation Center (ITIC) provides a secure and collaborative environment for testing and validation. Located in Greenville, SC, at the heart of the Upstate South Carolina automotive cluster, ITIC is an independent, non-profit proving ground for automotive OEMs, suppliers, technology providers and research universities to test and validate mobility innovations. In addition to offering multi-configuration test tracks, we provide a variety of services for developing and testing transportation megatrends such as vehicle automation, connectivity and electrification. Enhance educational and scientific initiatives in South Carolina and beyond. ITIC is headquartered in Greenville, SC at the S.C. Technology & Aviation Center (SCTAC), a sophisticated business park that is home to more than 110 companies in key market segments, such as manufacturing, trade, technology, and automotive/aerospace innovation. SCTAC is also home to Donaldson Airfield, South Carolina’s largest general aviation airport with an 8,000-sq.-ft. runway capable of accommodating large aircraft. The airport is particularly convenient for companies that need to transport components for testing, and for customers who wish to fly directly to our testbed. 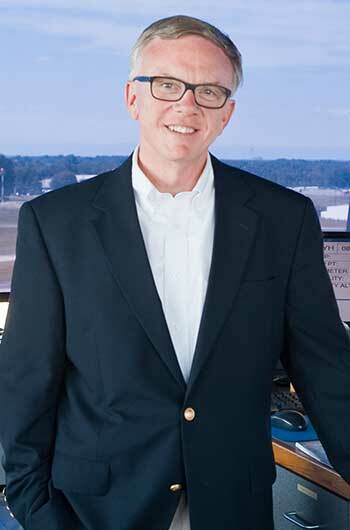 Donaldson Airfield is served by two highly qualified and certified FBOs. Located just minutes from beautiful downtown Greenville, SC (rated #3 Top Small City in the U.S. by Conde Nast Traveler), ITIC provides you and your guests access to a wide variety of outstanding overnight accommodations, dining, shopping, cultural attractions and entertainment. We also offer ideal access to Upstate South Carolina’s thriving automotive cluster. ITIC is located just 10 minutes from the Clemson University International Center for Automotive Research (CUICAR); 15 minutes from Michelin North America; 20 minutes from Greenville-Spartanburg International Airport; and 25 minutes from BMW North America Manufacturing. As Executive Director, Jody is responsible for the long-term growth and daily operations of ITIC. A highly respected leader in South Carolina’s economic development arena, he has led the remarkable transformation of SCTAC into one of the state’s largest and most dynamic business and technology parks. Prior to joining SCTAC, Jody served as vice president of the Upstate South Carolina Alliance, an economic development organization responsible for attracting business investment to the 10-county region in the upper west corner of the state. He began his career as an executive advisor to SC Governor Carroll A. Campbell. Jody serves on the Board of Advisors of the Greater Greenville Chamber of Commerce and is actively involved with numerous economic development organizations including the SC Department of Commerce, the Greenville Area Development Corporation, Upstate SC Alliance, as well as CU-ICAR. A top authority in the field of mobility testing and validation, Dr. Taiber consults with companies, communities and research organizations on the development of testbeds for automated, connected and sustainable transportation systems. A native of Germany, Dr. Taiber received formal academic training at the Swiss Federal Institute of Technology in Zurich, Switzerland, where he obtained a master’s degree in Mechanical Engineering and a PhD in Technical Sciences. His career in the automotive industry began with BMW AG in Munich. In 2003, he helped plan the BMW Information Technology Research Center (ITRC) at the Clemson University International Center for Automotive Research (CU-ICAR) in Greenville, SC. Taiber and his team developed a multitude of IT innovation prototypes in the domain of mobile device applications, cloud services and vehicle-to-infrastructure services in collaboration with multiple BMW business units, BMW IT partners and BMW university partners. In 2010, Dr. Taiber joined Clemson University as a research professor and faculty member of the Department of Automotive Engineering at CU-ICAR. He created the Sustainable Mobility Institute where he served as director and focused on research activities in the domain of vehicle electrification, vehicle connectivity and vehicle-infrastructure interaction. In addition to his role at ITIC, Dr. Taiber is a smart mobility advisor to the IOTA Foundation and is active in transportation related standards development efforts both at SAE and IEEE. 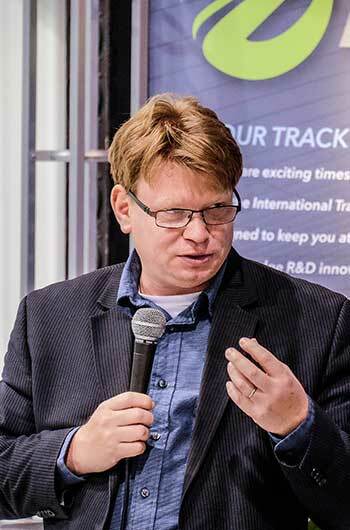 He is a member of the advisory board of the Peace Innovation Foundation; he continues to serve as an adjunct professor at CU-ICAR; and he frequently speaks at smart mobility conferences around the world. Liz manages track operations and is responsible for business development in addition to marketing, event services and community relations for ITIC. Her creativity, enthusiasm and exceptional organizational skills help ensure that every experience at ITIC is productive, engaging and rewarding. Prior to joining ITIC, Liz worked in the development office of American Leprosy Missions (ALM), an international medical non-profit organization. There, she was responsible for raising funds in the United States to support important medical projects around the world. She began her career in Washington, DC with the global public relations firm Burson-Marsteller where she specialized in public affairs and crisis management. Liz is a graduate of the University of Georgia with a degree in Journalism and an emphasis in public relations.